Chris Lewington was with Dagenham between 2009 and 2014, having joined them from Leatherhead. 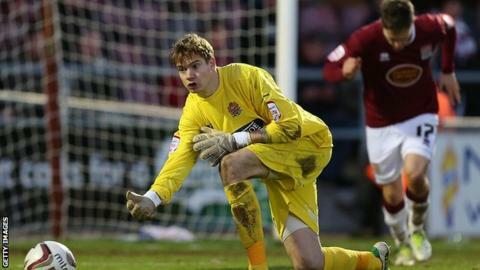 National League club Dover Athletic have signed former Dagenham & Redbridge goalkeeper Chris Lewington. The 28-year-old was voted Welling United's player of the season for 2016-17 but left the National League South side earlier this month. Lewington made 143 appearances during five years at Dagenham, later playing for Colchester and Margate. He has also appeared for Erith & Belvedere, Dulwich, Fisher Athletic, Sittingbourne and Leatherhead.